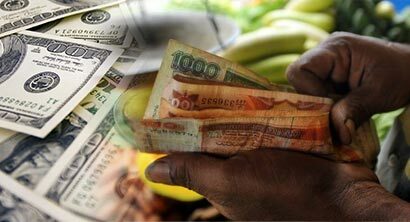 The Sri Lankan rupee recovered from early falls to close slightly firmer on Tuesday as dollar selling by a foreign bank and exporters outweighed importer demand for the U.S. currency, dealers said. The spot rupee ended at 153.70/75 per dollar, compared with Monday’s close of 153.73/80. “(Importer) demand was there, but there was selling by a foreign bank, probably to buy treasury bonds,” said a currency dealer, who declined to be identified. Dealers said the market has priced in further depreciation of the rupee because of the central bank’s no-intervention policy. The spot rupee resumed trading on June 19 for the first time since May 5, when the central bank fixed its reference rate at 152.50. Dealers said they expected seasonal demand for dollars to pick up from August. The rupee has been under pressure since early this year after the central bank stopped providing support for the currency at a time when the island faces a balance of payments crunch.